To send a message to this house sitter, you must login or register. We are a professional non-smoking couple with grown children. We are animal lovers with a history of Quarter horses, Labradors Retrievers, and Calico cats. We are extremely neat & clean in our own home, healthy living and looking to help out with your home & pet sittings in the US, Canada, and Europe. 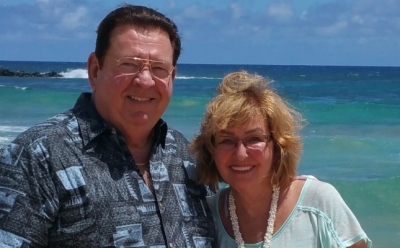 Tom is a recently retired IT executive with numerous �handy-man� skills after building four homes and Ruth Ann is an executive with a global corporation based out of our home in Frisco, Texas and both enjoy travel, photography and gourmet cooking. We specialize in taking exceptional care of your pets, property and looking after your farm animals. We are very responsible and reliable and happy to speak with you by phone, Skype or FaceTime. When possible we are willing to meet with you before deciding if we are a match. You will find we are conscientious, warm, open and capable. Our complimentary skills and interests allow us to take on a variety of opportunities. We make a great team, working well together or independently as needed. We are adept at handling any difficulties that may arise with maturity, resolve, and ingenuity. We fully understand that choosing just the right person or couple is important to you; it is also important to us. If you would like to know more, please contact us at any time. Tom and Ruth Ann watched my BRAND NEW puppies while my wife and I were away for a few days. Not to mention 100+ chickens, 7 geese, 2 dozen ducks, guinea fowl, peacocks and tilapia!! When we got home, EVERYONE WAS ALIVE!! That's a BIG PLUS! The house was spotless. The mamma dogs were happy. Everything was as good or better than it was when we left. They were very patient and adaptable as our plans were changing moment by moment awaiting the birth of our puppies. Once they were born, Tom and Ruth Ann jumped in the car and got here as quick as possible. My wife and I met up in the hill country of Texas and had a wonderful weekend with our CMA Biker Brothers!! Thanks Tom and Ruth Ann. I'll always let y'all know when we're headed off for another venture. If you're available, you're always welcome down here in God's country!! Tom and Ruth Ann house sat for us again while I recovered from a second surgery. Once again, they cooked for my husband and even made and froze delicious meals in advance, so that we could continue to enjoy the benefit of their culinary expertise and generosity, long after they had gone. They cared for our dog, watered and maintained our many plants, fruit trees and gardens, and our delicate orchids and plumeria trees have never looked better! We can only hope they might be available again, sometime in the future. If you are lucky enough to get on their schedule, you can safely place your home and assets in their trusted possession, while you confidently travel. They are just amazing. Tom & Ruth Ann house sat and cooked for my husband for ten days while I had surgery. They cared for our dog, watered our orchard farm and kept the house in impeccable condition while we were involved with my surgery. "We trusted them fully with all of our most treasured possessions, we would most highly recommend them to others and we are hopeful that they might be available to us again in the future."